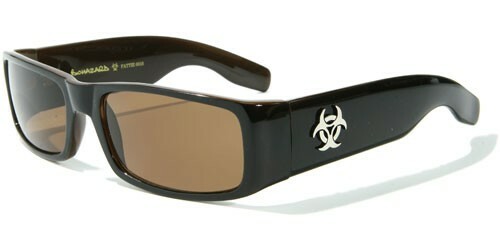 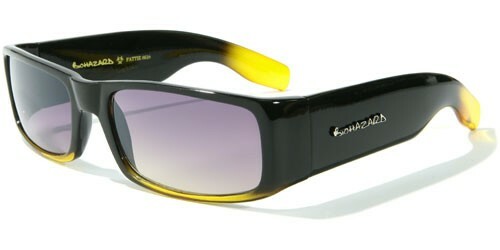 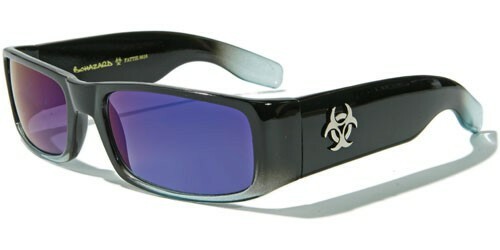 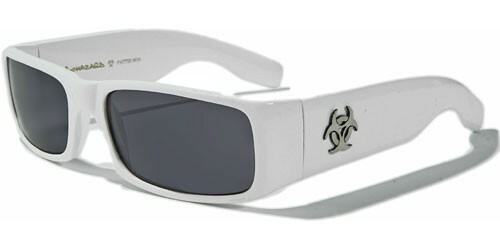 Thick and sturdy-looking with a cool color combination, these sunglasses for men by Biohazard are stylish and let you sport your own individual attitude. The frame is made of strong and solid plastic with a durable feel that is tough and able to withstand constant use. The arms are thick with a cut out curve at the ears and the Biohazard logo on the side. 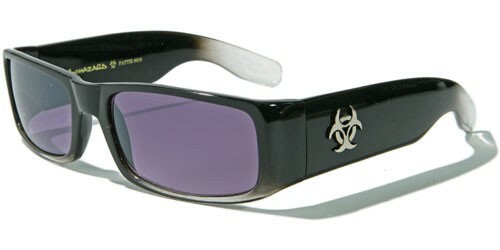 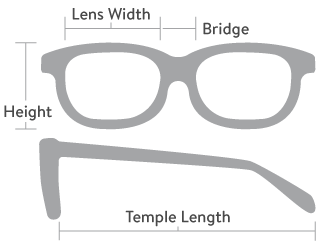 The lenses are rectangular with a finish that blocks out harmful ultraviolet rays.